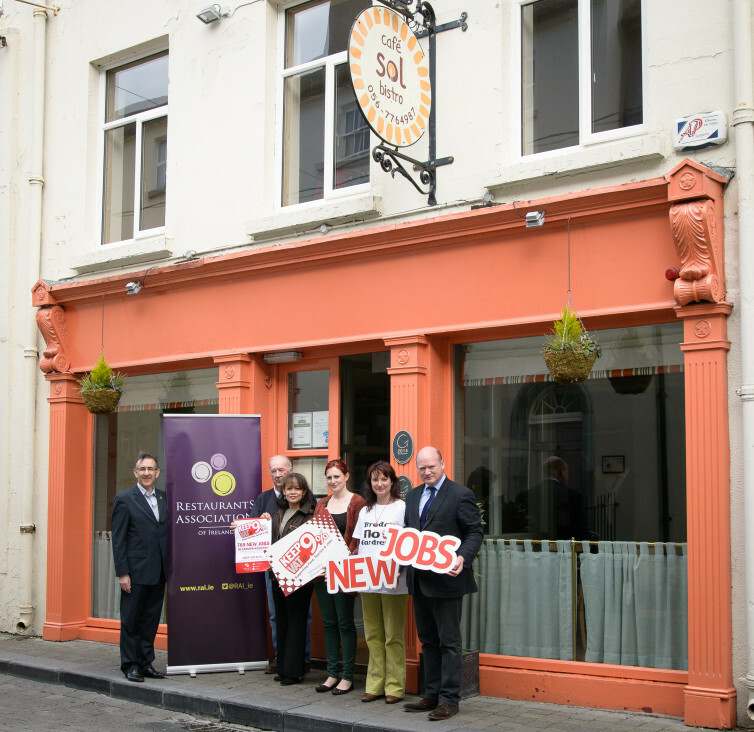 The RAI is to hold an open meeting for all the candidates on Tuesday 12th May at 10.30am in Café Sol, William Street, Kilkenny to highlight the major impact the 9% VAT rate has had in the Food, Tourism and Hospitality sectors in Carlow and Kilkenny. The meeting will seek assurances from all the candidates or their representatives that they will continue to prioritise the retention of the 9% VAT rate, which is vital to the Food, Tourism and Hospitality sector. “The 769 new jobs between Carlow and Kilkenny is a very conservative estimate and does not include the number of indirect jobs created in the wider economy as a result of the increased economic activity. When the effect of this is included, the total number of new jobs is even more impressive, with an additional 353 indirect jobs created. This brings to 1,122 the total number of jobs in created in Carlow and Kilkenny since July 2011.” continued Adrian Cummins, Chief Executive of the Restaurants Association of Ireland. The employment figures are from the updated report published by Restaurant Association of Ireland entitled “Job Creation in the Food, Tourism and Hospitality Sectors 2015”, which uses national employment data from the Central Statistics Office. The Report examines the impact of the introduction of the new VAT rate in July 2011, when it was reduced from 13.5% to 9% for tourism related services and goods. The Report from the RAI demonstrates the considerable social welfare savings made by Exchequer as a result of the increase in the number of jobs. “These new jobs have also meant additional revenue for the Exchequer from the increase in payroll tax receipts. The contribution from employee taxes (USC and PRSI) and employer taxes (employers PRSI) from the 769 direct jobs has delivered €3.66m in revenues for the Exchequer.” continued Chief Executive of the Restaurants Association of Ireland, Adrian Cummins. The report published by the RAI on “Jobs Creation in the Food, Tourism and Hospitality Sectors 2015” has been sent to every election candidate in the Carlow-Kilkenny by-election. St. Augustine Street, Dublin 8.